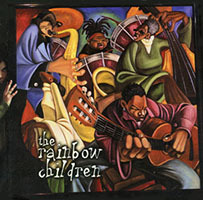 Happy Sweet 16th Birthday to The Rainbow Children! Forums > Prince: Music and More > Happy Sweet 16th Birthday to The Rainbow Children! Awesome! I like this album except for the darth vader voice. I also have it without the darth vader voice. I interpret the Darth Vader voice as being "the voice of God." I think Morgan Freeman has a better "voice of God" that the Darth Vader voice on The Rainbow Children, but what do I know? I know, I know I'm in the minority here, but free speech FTW. It really puts me off. I want to like it, but it just really rubs me wrong. Production-wise it's quite lush and interesting. Organic in nature. Lyrically it's totally off-putting. Darth Vader voice aside, the dogma on it is way too much. I'm not one that can just listen to the music and ignore the lyrics. Half of Prince's goodness in his music is his lyrical content. His preachy, know-it-all nature around this time was really annoying and to have it concentrated on a record is a bit too much to take. I would be interested in at least hearing it without the Darth Vader voice. (Is it really one without those vocals, or did someone just edit those things out and shorten it all?) I can appreciate it all as a musical work, but I just have no desire to be beat over the head with the New World Translation corruption of the bible. You’re right, John. And I really don’t care because I think that birthdays ARE worth celebrating. The latter - fan-made, unofficial. In my book the only real classic P album of the 2000 (together with AOA). Classic album, one of his greatest tour. Just curious.... is it sound-processed to remove the voice or is it simply edited cutting away all segments where the voice appeared?!?!?!? I believe it's cut away. So it's not for my ears. I can't stand the "D&P"-"Symbol" De-TonyMosley-zied experiment. I love this album, the deep voiced narrator doesn't bother me one little bit, I refuse to call it a Darth Vader voice as the Star Wars nerd in me doesn't think it sounds anything like Darth Vader . The only bit of the album I really can't stand is the start of Family Name with the synthesised voice giving the black/white, this/that speech. I did an edit on that myself which cuts out all that nonsense, repeating the first 5 seconds twice before going into, "End of part one" and continuing from there. Love this track in general though, very funky. I have mixed feelings on this one. Great production, great musicianship etc but the lyrics are off putting. Still, The Everlasting Now is a great jam especially live (the performance on Leno was amazing), The Work It is funky as it gets and She Loves me 4 me is a nice love song. 3 worthy additions to his catalogue. These 3 songs would have been highlights even on his better albums. Sidenote- I always like the "Napster" version of "The Work" better than the album version. Sidenote 2- some of the songs on Rainbow Children that didn't appeal to me on the album (like "Muse To The Pharoah") sounded great on One Night Alone. If you find you have to ALTER anything... you're clearly not a fan of the work. I'm sure it alienated anybody who was a singles fan. Another PLUS for Prince.... not afraid to be himself and release stuff that won't even likely get a real review anywhere. It's a great cohesive album. Clearly one of his most inspired.... That album changed my life. I've still got one of the original few promos I nabbed from my job before my manager was to give it away to some douche. Loved this album. Made me "get back into" Prince more than before. I felt like he waas back to serious rhythms and arrangements. Tracks like Rainbow Children, Everlasting Now and Family Name rally showed his songwriting ability and skill was not to be matched again after several uninspired releases for several years after Emancipation. pleased to meet u, Mr. Rose In bloom. I'll be John Blackwell just the same. I think this is the one true "new directions in music from Prince" album, despite what the promos for N.E.W.S. may have you believe. The music and production on this record is unlike anything else Prince released, and it's more than enough to help me move past lyrics that might otherwise put me off. I'm with CoolMF - the version of The Work pt II released on Napster (and also on the third NPG Ahdio Show, I believe) is superior to the album version. I love Last December - a great Prince ballad that's uplifting and takes off in crazy directions, awesome guitar tone, just spectacular. Best guitar tone of any Prince album. Too bad the lyrics... ...I start the album at track 3 these days which makes it much better. If it is of anyone's interest, the first version was also the 2nd Track on the "U Make My Sunshine" cardsingle CD. I thoroughly enjoyed that day. wow how time flys by, i recall listening to this CD a lot whilst driving in my car. It's one of Prince last really good albums but he did release a few good ones after TRC like NEWS, Lotusflow3r and HNR2. I wish Prince would have continued with this "new directions in music" at least a few more years after TRC and NEWS.